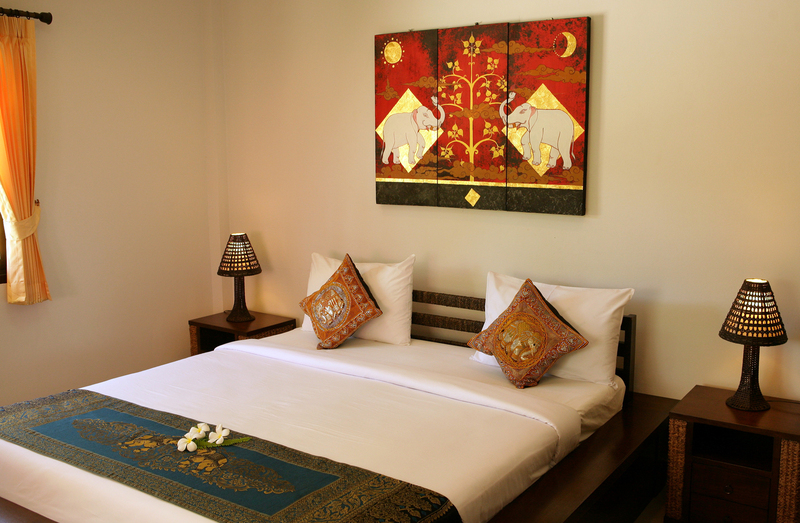 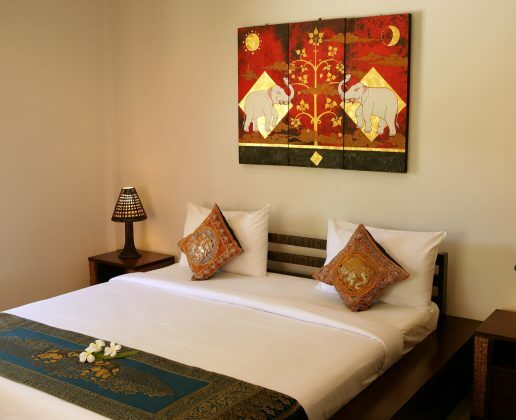 Daily rates start from THB 3,500 – 7,500 per day, depending on the season. 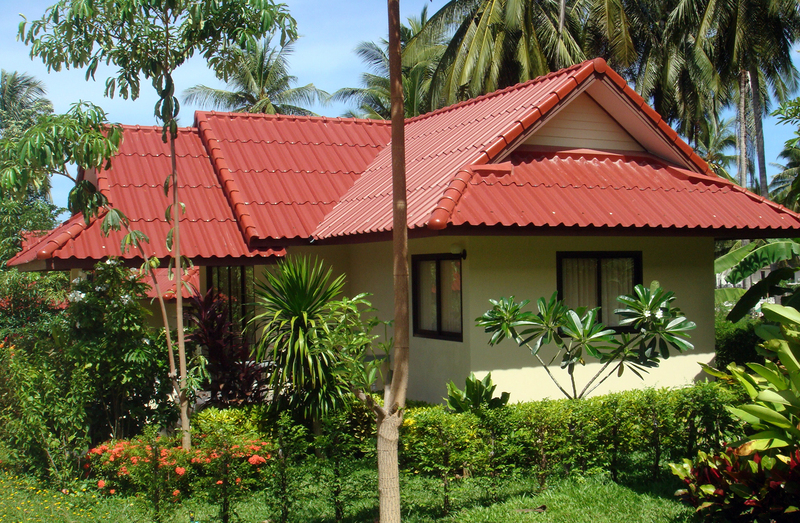 Monthly rate start from THB 25,000 – 75,000 per month, depending on the season. 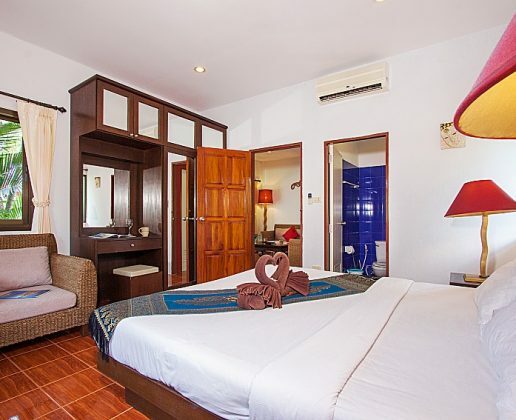 Just a few minutes away from Big Buddha and Chaweng Beach, this villa resort is the ideal place if you are looking for relaxing place to spend unforgettable holidays on Thailand’s most wonderful island, Koh Samui. 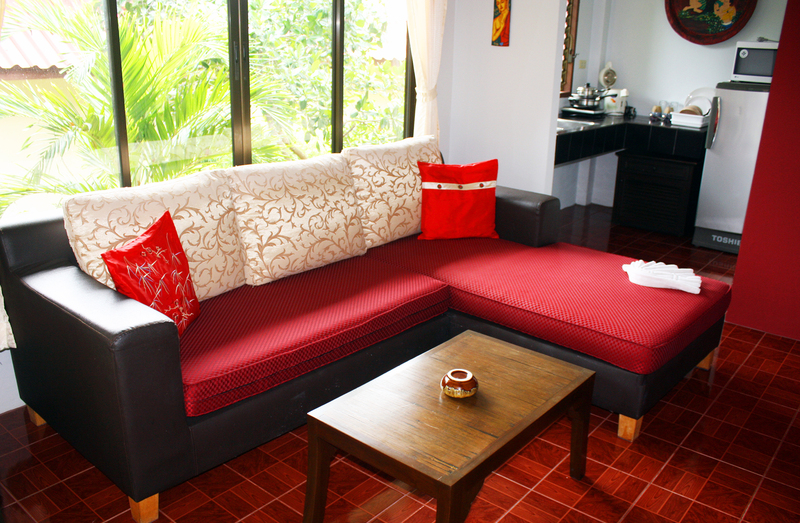 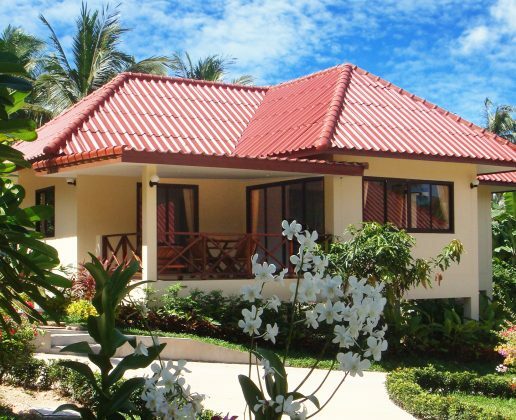 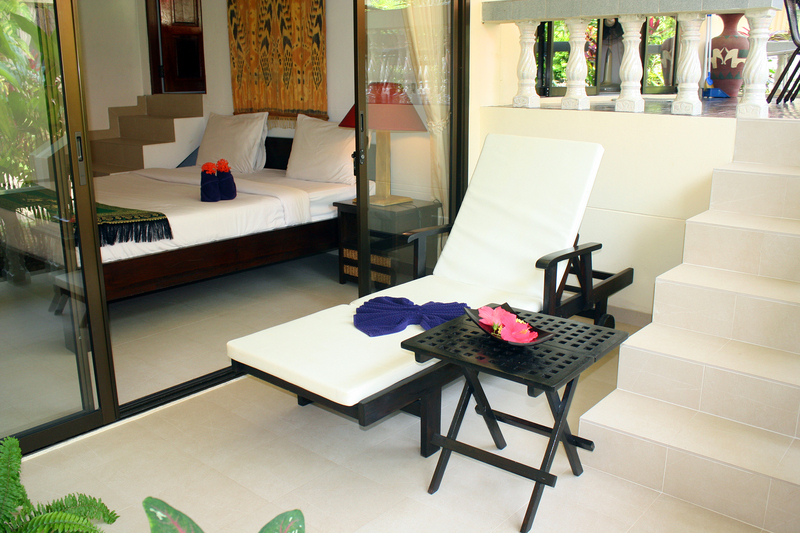 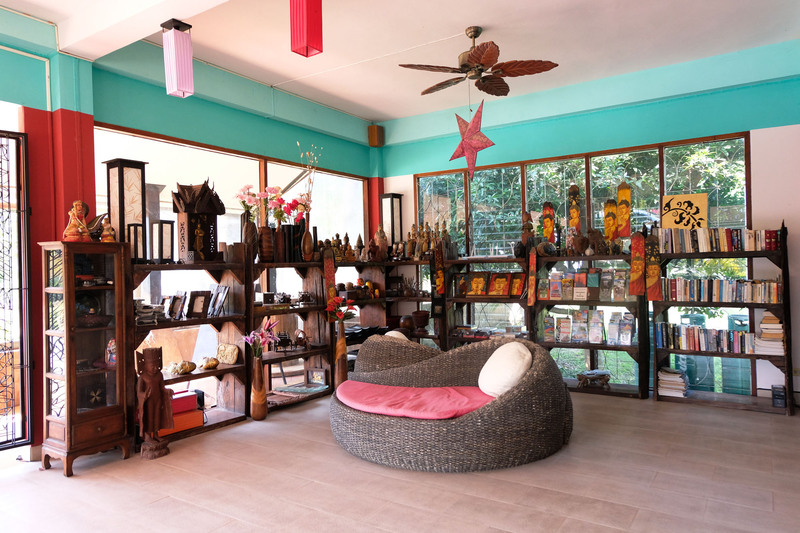 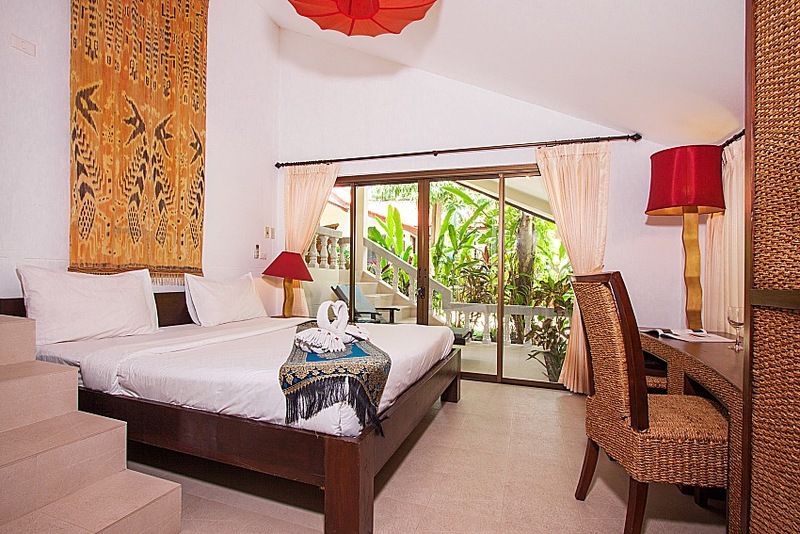 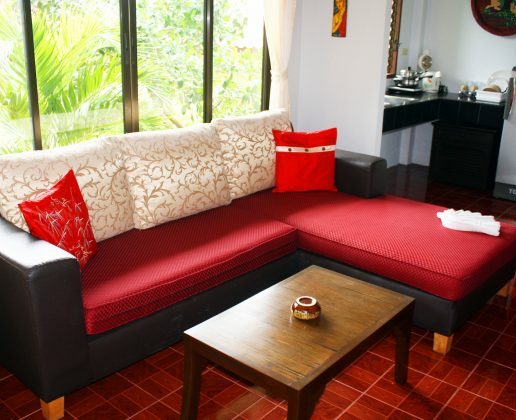 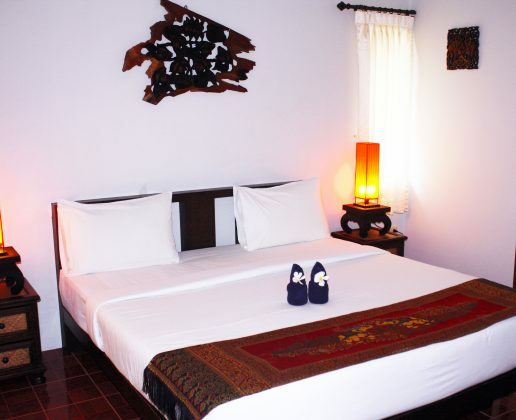 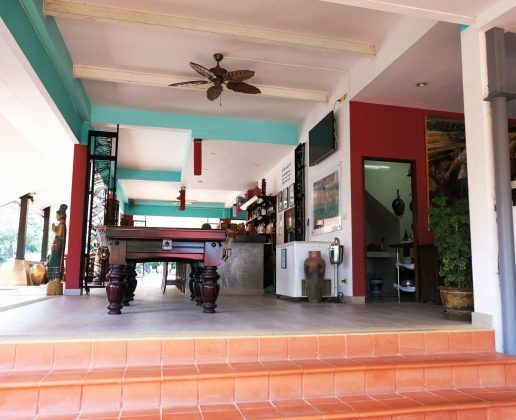 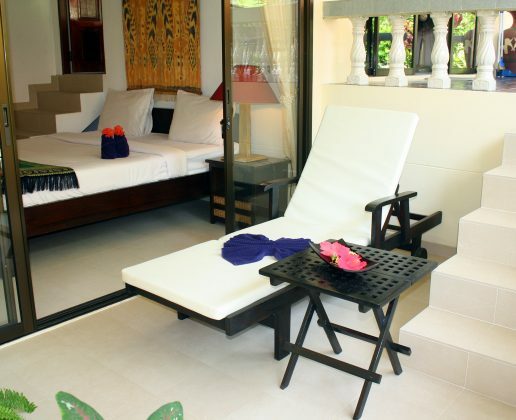 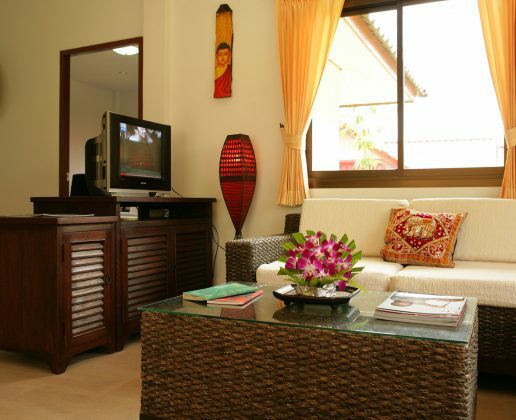 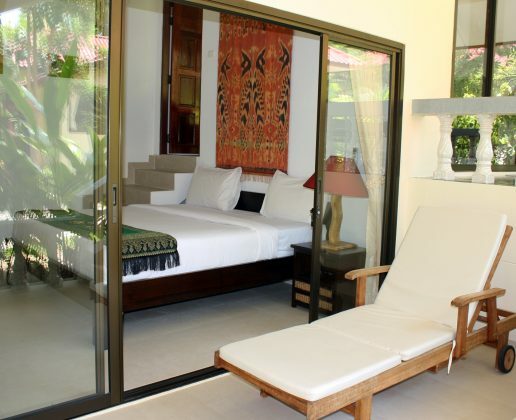 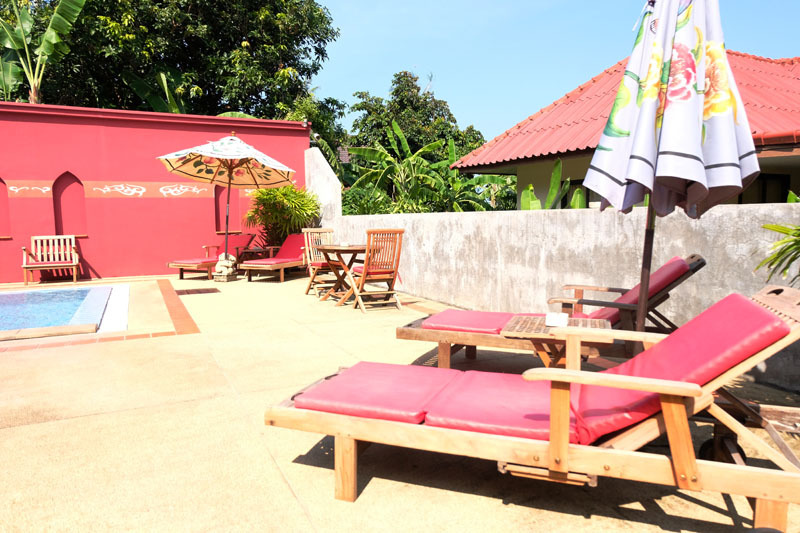 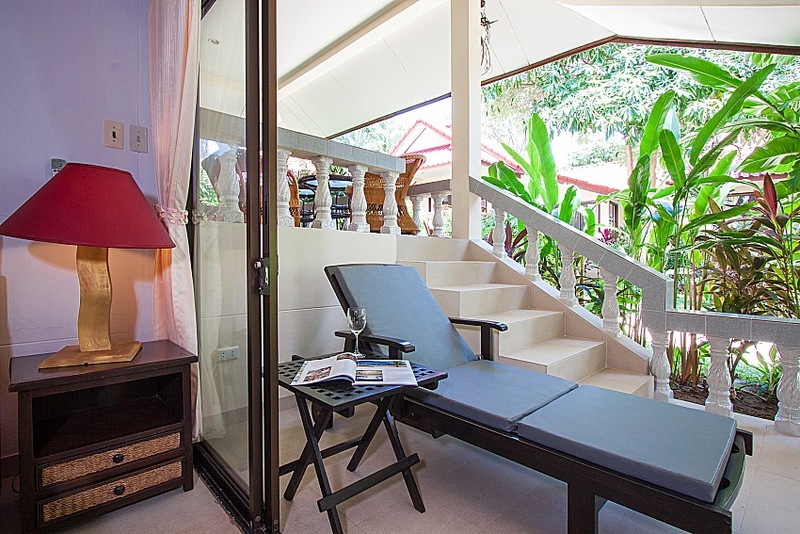 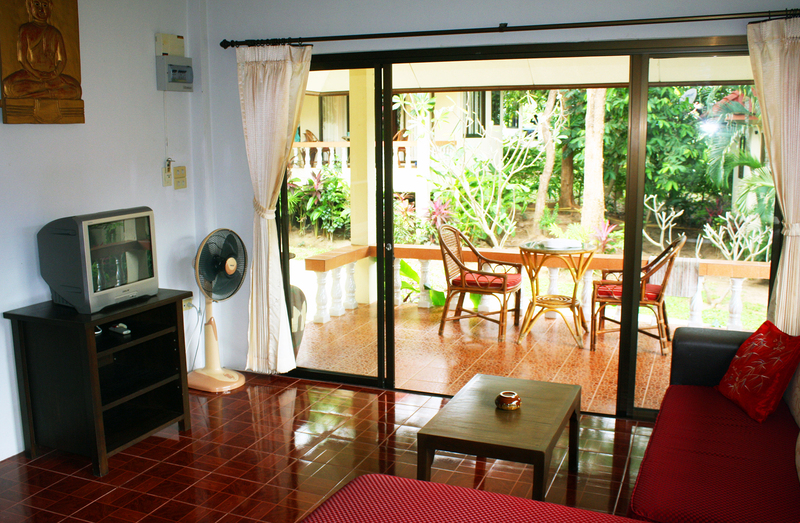 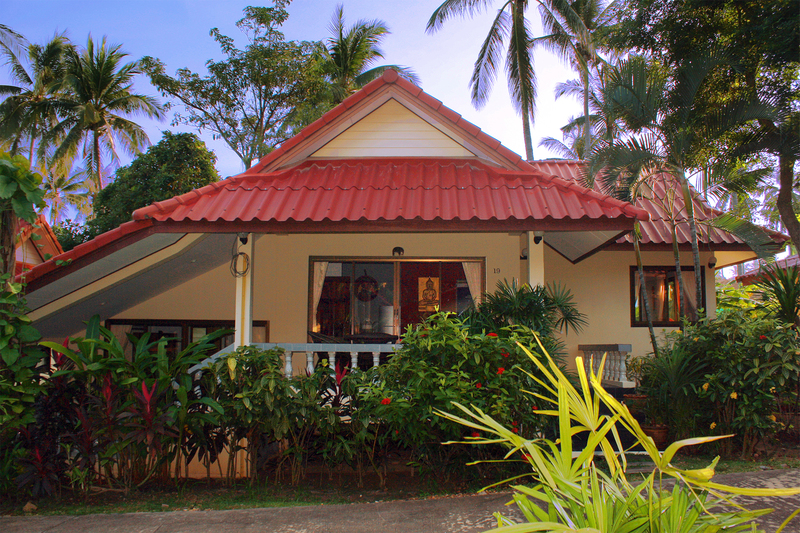 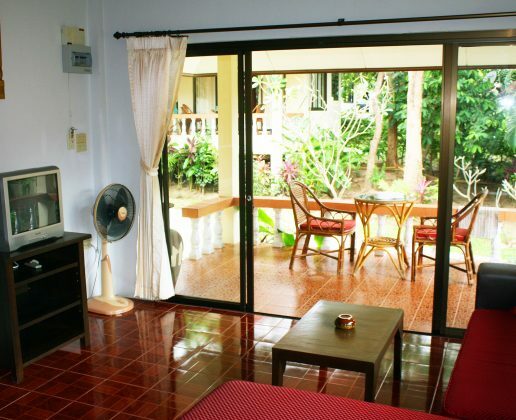 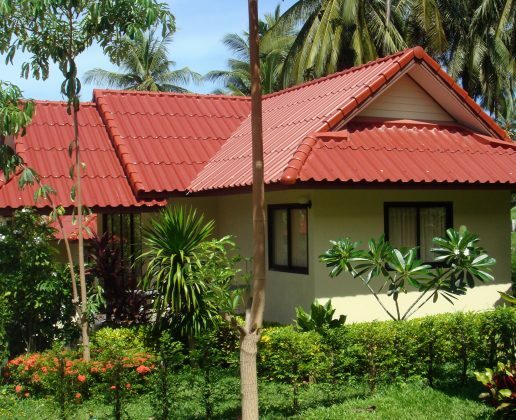 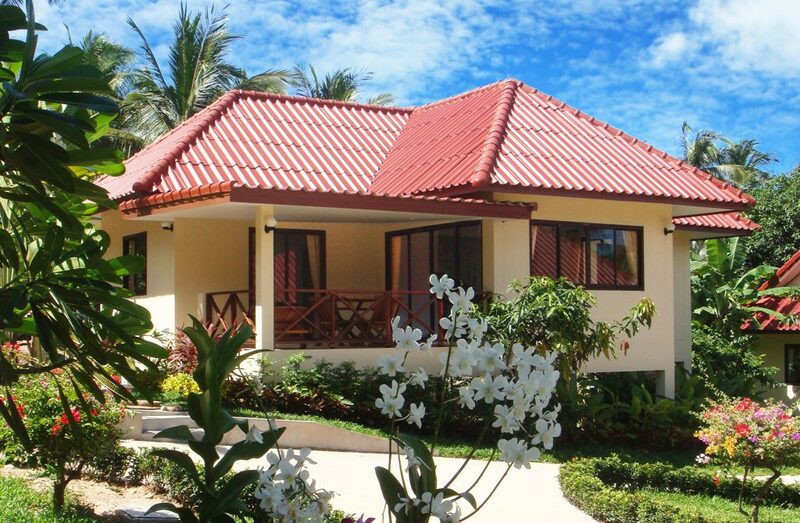 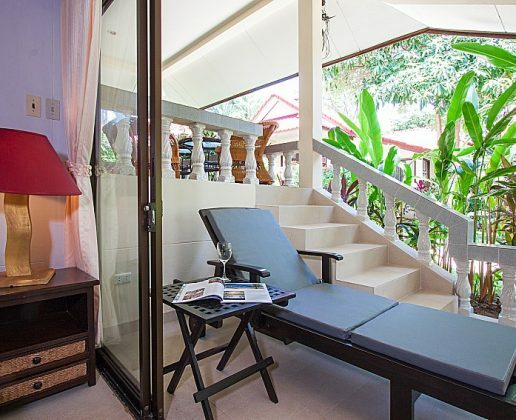 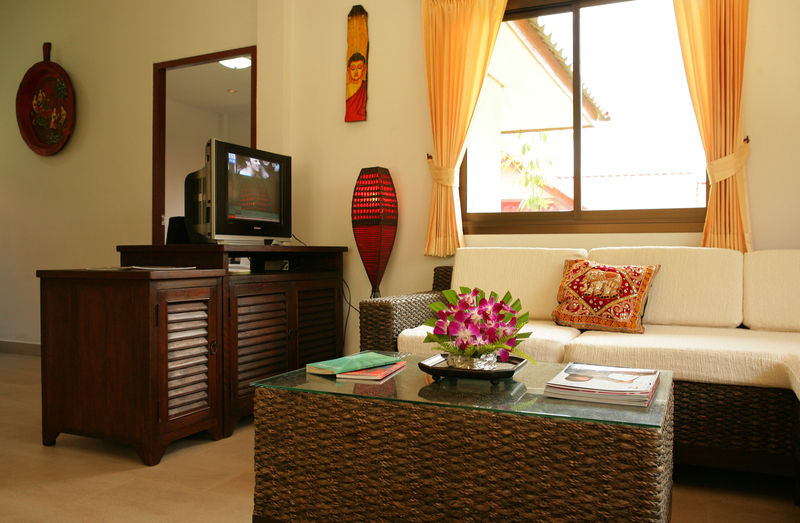 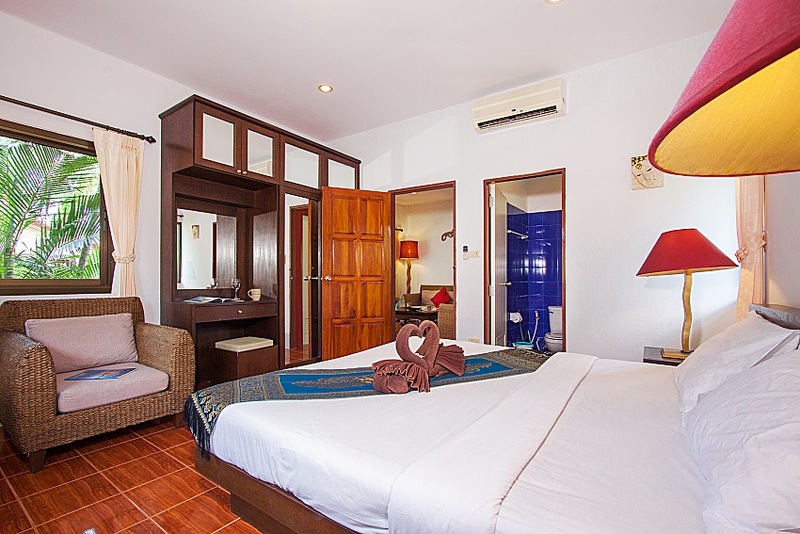 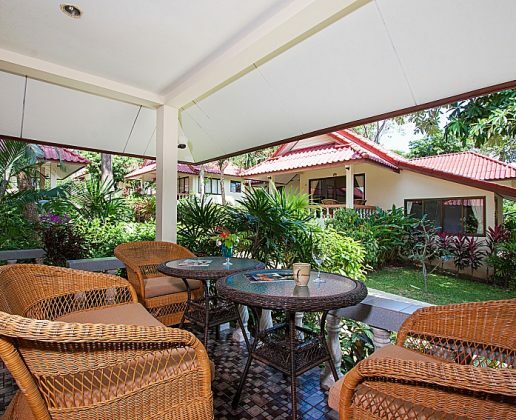 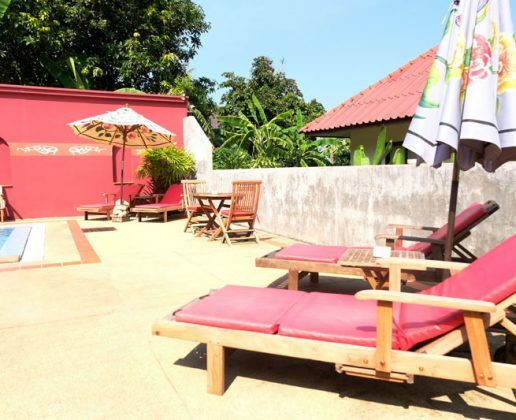 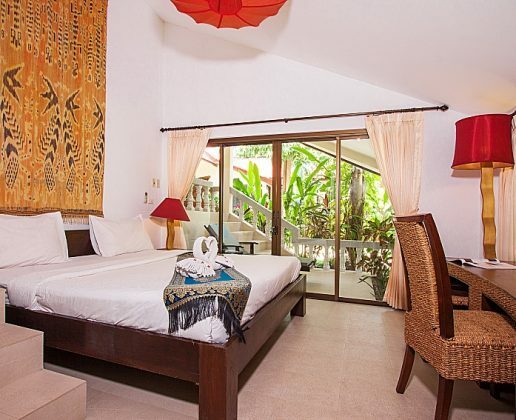 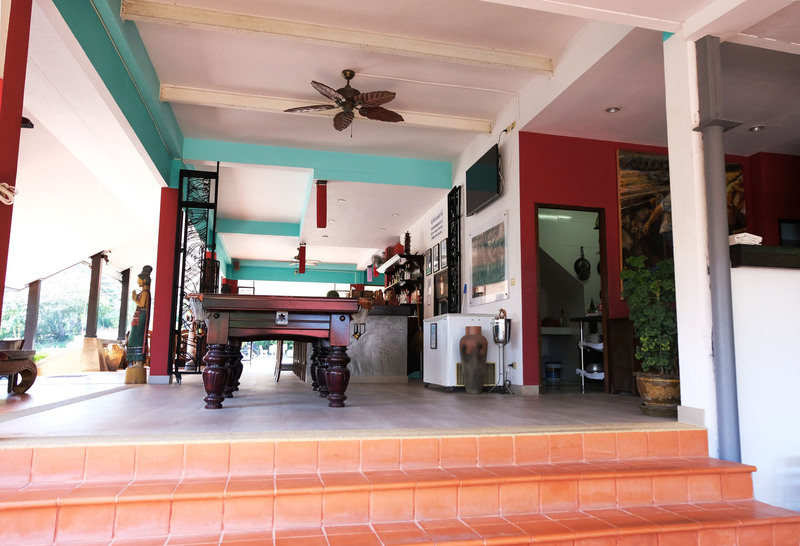 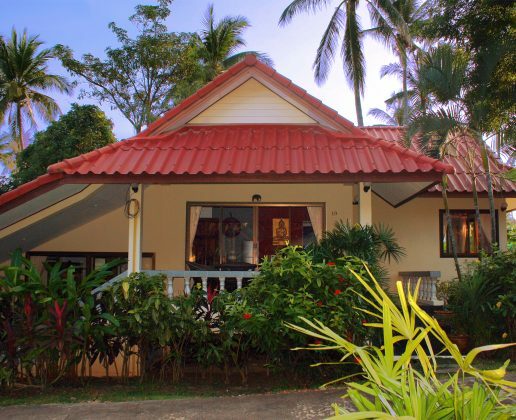 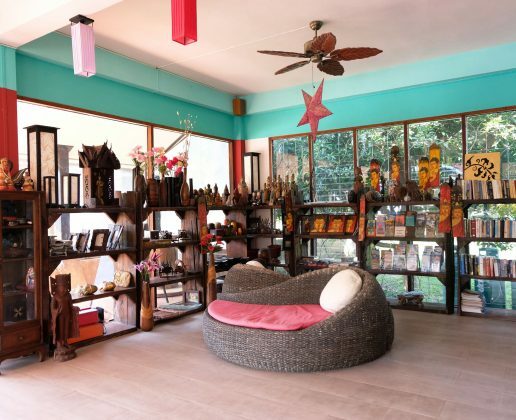 Located in Choeng Mon, nearby one of the most beautiful white sand beach on Samui. 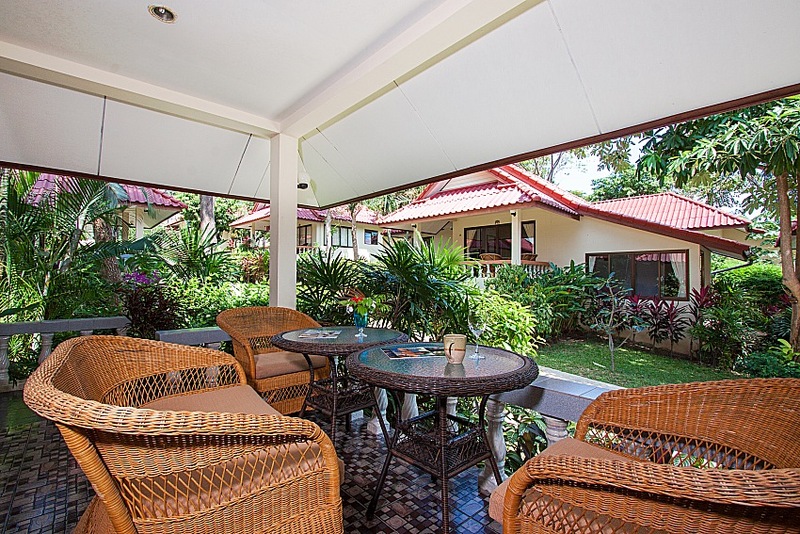 Designed as a Family Resort, the resort offer comfortable accommodations to perfectly suit all your needs, whether you travel alone, with friends or in family. 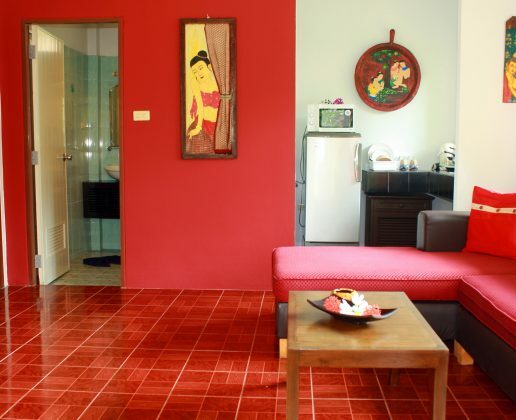 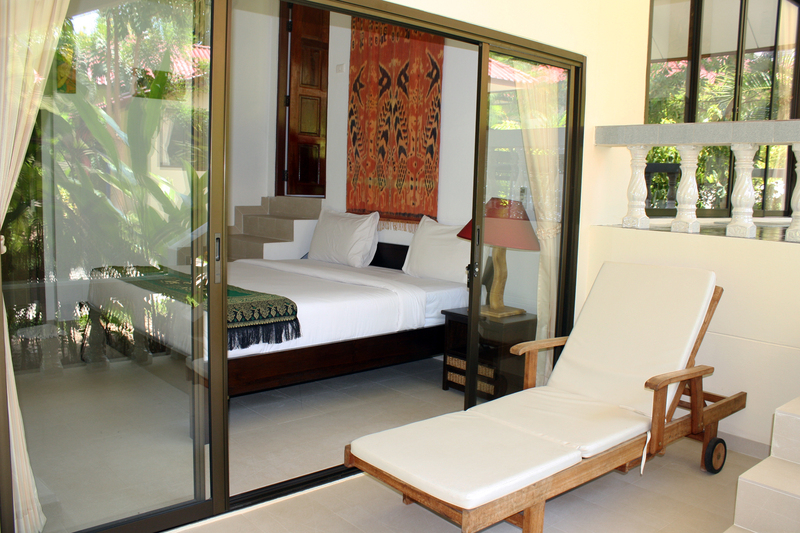 All bedrooms are equipped with: bedroom, bathroom, kitchen corner, living room, private terrace. 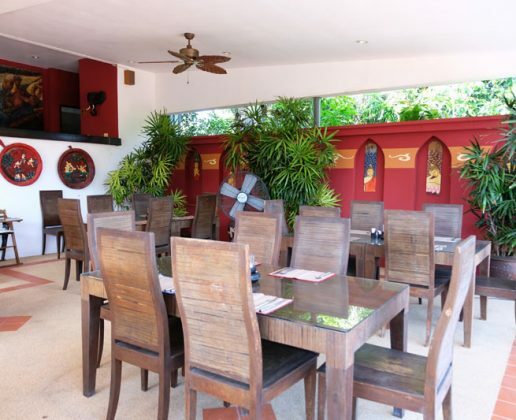 refined decoration and soft lighting ambiance, it can host up to 30 people and is open non-stop from 08h00 to 21h00. 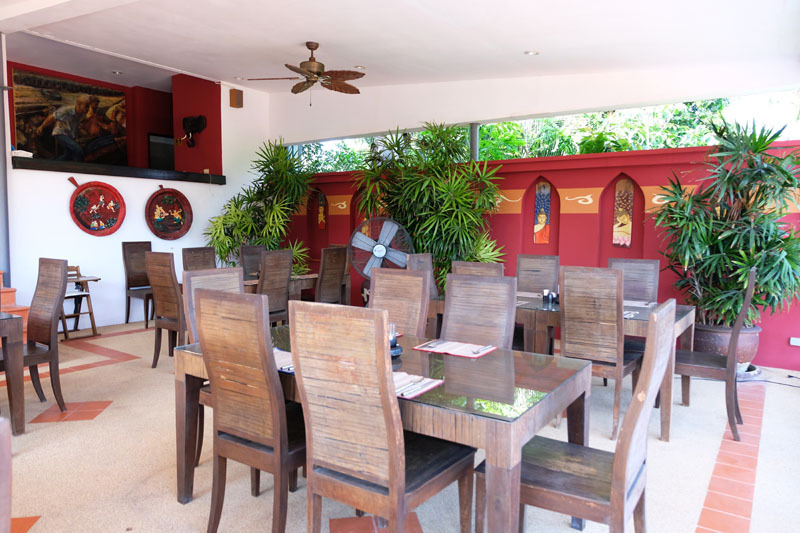 A selection of traditional Thai and Western Cuisine is served and for your kids, you will find special menu-sets made just for them. 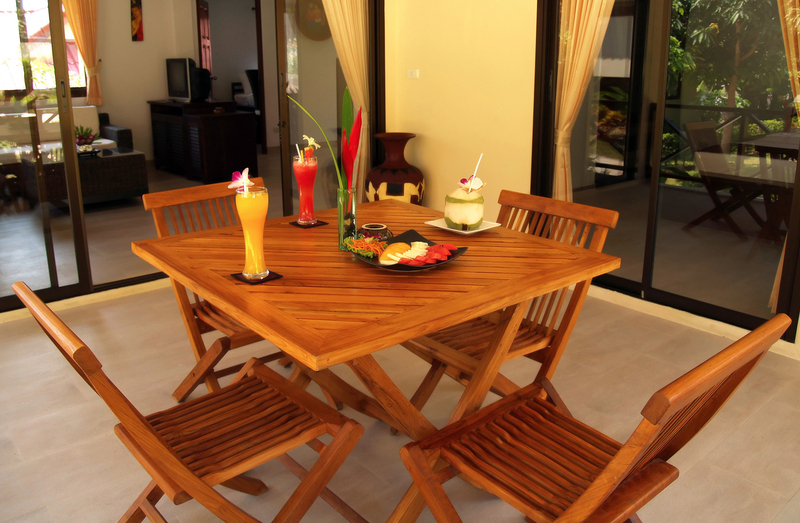 At the Bar, you can enjoy your favorite cocktails, with or without alcohol, as well as fresh fruit juices while listening to a selection of relaxing “chill out” international and local music. 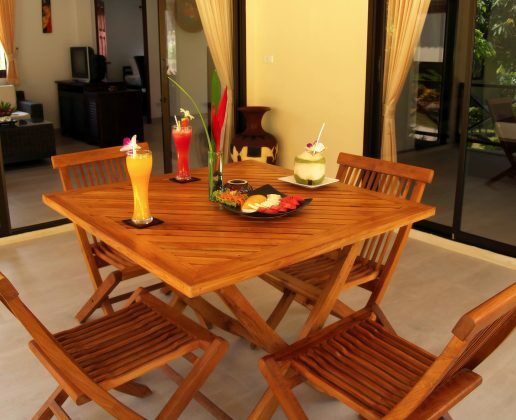 Enjoy your meal or your drink at the restaurant, at the bar or in the shade of candle lights nearby the swimming pool. 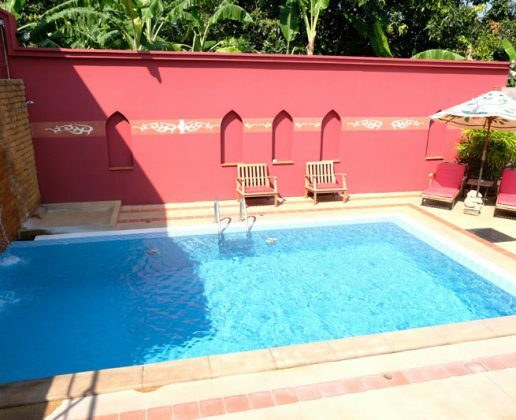 Swimming Pool – As a relaxing alternative to the beach, a shared swimming pool (10 m x 4 m) is at your disposal in the resort. 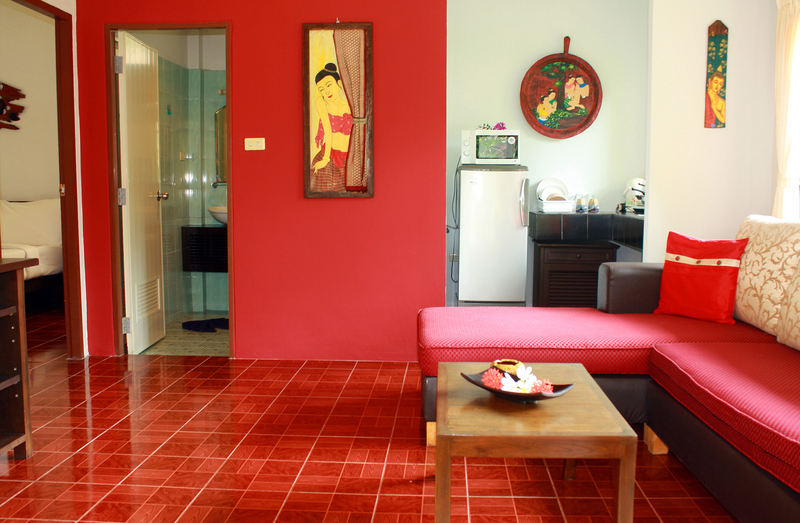 One part of it has been especially designed with low depth for your children.